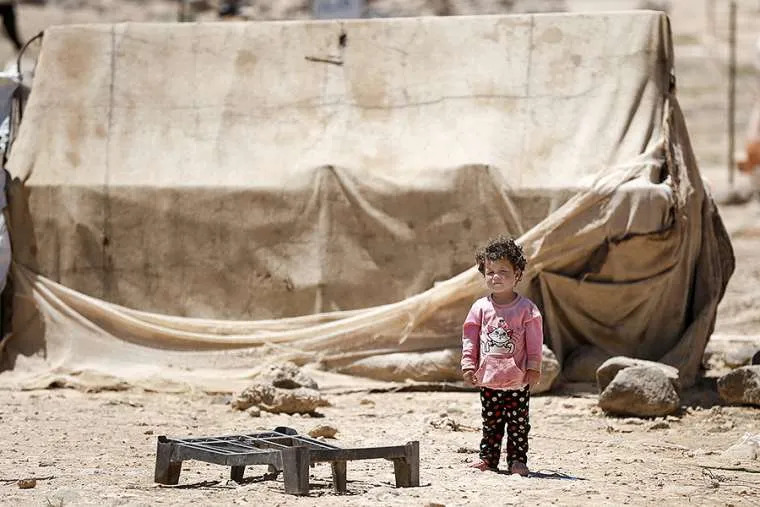 Dublin, Ireland, Aug 24, 2018 / 01:10 pm (CNA/EWTN News).- In a keynote address at the World Meeting of Families on Friday, Cardinal Mario Zenari outlined the atrocities lived by families in Syria and other conflict zones, who respond to immense suffering with peace and courage. 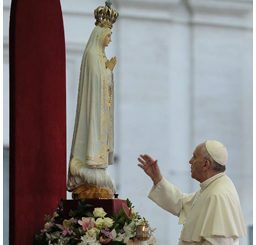 Rome, Italy, Mar 15, 2017 / 02:50 am (CNA/EWTN News).- When reports came out recently about Pope Francis’ decision to modify the penalties for several priests found guilty of abusing minors, the question arose as to whether the Pope was being too merciful in his decision. To address these issues and clear up some of the grey area on this topic, CNA spoke with a canonist, Fr. Damián Astigueta, SJ. A professor at the Pontifical Gregorian University with a specialty in criminal proceedings, Fr. Astigueta offered insights on what dismissal from the clerical state is, why the Church doesn’t always choose to dismiss from the clerical state priests who are guilty of abuse, what those condemned to a life of prayer and penance actually do, the role of bishops in abuse cases, the lessening of sentences, and more. What is dismissal from the clerical state? When a priest loses his clerical state, either because he requested it or because it was taken from him, he is “‘dismissed from the clerical state,’ because this is a juridical status,” Fr. Astigueta explained. What happens instead is that exercising the rights proper to the clerical state are prohibited, such as saying Mass, hearing confessions, and administering the sacraments; as are the obligations, such as that of reciting the Liturgy of the Hours and obedience to their bishop. However, since a man dismissed from the clerical state remains a priest, there are times at which the Church continues to oblige him to act as a priest. For Fr. 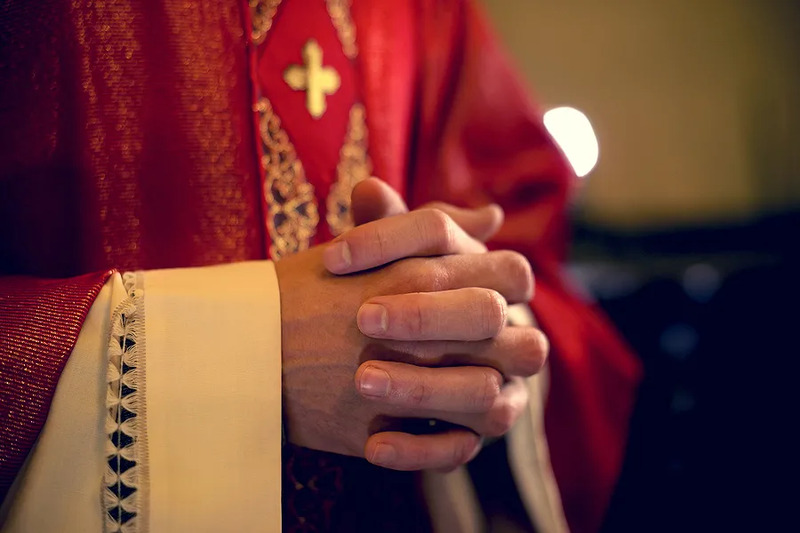 Astigueta, the answer to the question of why not all priests found guilty of abuse are dismissed from the clerical state has two primary components: not all acts of abuse are the same in terms of severity, and the situation of the priest himself varies. “Why doesn’t the Church dismiss from the clerical state all abusers? Because not all abuses are the same entity,” he said. Even civil law recognizes a difference in severity between pedophilia – which involves prepubescent children – and ephebophilia – which involves mid-to-late adolescents. In other cases, there may be the appearance of consent with an older teen, he said, which can further complicate the matter. The penalty assessed to the priest takes these factors into account, he added. When it comes to priests who are found guilty of abuse, there are different types of punishments, including dismissal from the clerical state, or a life of “prayer and penance,” depending on the situation. “There are certain cases in which dismissal would be the just punishment,” Fr. Astigueta said. But there are also cases – even with several instances of serious abuse that have caused a lot of damage – when the Church decides against this dismissal, he said, pointing to Legion of Christ founder Fr. Marcial Maciel as an example. At times the Church prefers to use a different system, prohibiting the person from ministry, particularly in public. Instead, the person is isolated at home, dedicated to prayer “and nothing more.” This means no visits from people, at times not even friends or their congregation. In the case of Fr. Maciel, even his funeral, for which he had saved enormous funds, was closed to the public. Fr. Astigueta also spoke of the importance of mercy in the process, particularly when it comes to elderly priests and the Church’s own responsibility toward her members. Even in a tragic case when a child has been abused, “the Church is still a mother, and mercy is used for the victims and the priest,” he said, noting that abusers often have serious psychological problems that require treatment. This means “helping them and taking care of them in the measure that the person lets themselves be helped,” he said. If an 80-year-old priest is dismissed from the clerical state, “where do we send him? Can he find work? He’ll end up living on the street as a homeless man. How long will he last? He won’t last anything,” he observed. Offering help to victims and bringing about justice is always the Church’s top priority when it comes to clerical abuse, but concern must also be shown to the sinner, he said, explaining that if the Church were to immediately dismiss from the clerical state every abusive priest, it could cause more harm. “Sometimes we find ourselves in situations that if these people are thrown out on the street, I am leaving a possible serial killer,” Fr. Astigueta said, referring to pedophiles. The Church, he said, must also take this into account. Once the truth is known, the measure in which the offender can be sanctioned must be taken into account “in order to avoid that the penalty is a revenge,” because this helps no one. But while the sentence is fairly common, among elderly priests in particular, what it actually involves is at times a bit obscure to the public eye, and it can seem like the priest is getting off easy despite committing heinous crimes. At times the person might even be barred from leaving the house without permission, under pain of incurring further punishments. He pointed to the recent case of Luis Fernando Figari, a layman and founder of the Sodalitium Christianae Vitae, who was found guilty of an extreme, authoritarian style of leadership as well as several accounts of sexual, physical, and psychological abuse. As a punishment, the Vatican didn’t expel Figari from the community, but ordered that he live alone, and barred him from any contact with the community’s members and from receiving people. “It’s strong, yes, but at least I have something to eat and I can live my final years in peace,” Fr. Astigueta said, noting that in general it is elderly priests who end up in this situation, whereas younger ones with some sort of major mental health disorder are typically sent to a therapeutic communities. Fr. Astigueta also noted that there’s a different canonical process for lay founders such as Figari, versus priests who abuse. “Technically speaking, the case of a layman doesn’t enter into the canon on abuses like the priests,” he said. Clerics who commit sexual abuse are charged under a canon (c. 1395 §2) which criminalizes those offenses against the sixth commandment which are committed by force or threats or publicly or with a minor below the age of 16. But when it comes to the laity specifically, “this lack in the code must be thought of,” because unfortunately “the times are those in which we can’t only think about priest founders, but of many laity who have a position in the Church … who can abuse minors,” such as school directors or professors. Cases in which the victims are mentally disabled must also be taken into consideration, he said, as well as many other forms of abuse “that should be considered crimes,” and are in many states. When it comes to the responsibility of bishops in abuse cases, Fr. Astigueta said that while expectations might have been murky in the past, they are clear now, and require the bishop to act immediately. A bishop must first intervene on a judicial level, alerting civil authorities, but also on the pastoral level, he said, explaining that the process looks different for every nation. On a pastoral level, bishops must from the start turn their immediate attention to the victims “in order to welcome them and to help them understand that we are not against them and we are looking for the truth,” he said. Giving a theoretical example, Fr. Astigueta said a priest might try to pressure a victim into retracting their statement, so the bishop could decide to “distance” the priest from the process. This choice might also be made in situations where there is risk of a serious scandal, he said. Once a priest is found guilty, the bishop will have to carry out the sentence, and it may even be the bishop himself to enforce the decree of dismissal from the clerical state with the authority of the Congregation for the Doctrine of the Faith, Fr. Astigueta explained. Victims must be helped to live a “process of reconciliation, of accompaniment” and one in which they are made to feel that “they are part of the Church,” he said, but stressed that this is at a pastoral level, which must always remain separate from the judicial level. Fr. Astigueta also spoke on cases of negligence on the part of a bishop, which Pope Francis in his 2016 motu proprio Come una madre amorevole established as grounds for removal from office. “So this person who was the bishop had rights and duties regarding the community. As he has not fulfilled them, this office is removed,” Fr. Astigueta said. Another instance, he said, would be failing to take precautionary measures against a priest accused of abuse, and it is later discovered that the priest had committed other abuses during that time. Other reasons for removal of office due to negligence could be that the bishop didn’t follow the protocol requested by the state. No matter the situation of the priest or the bishop, Fr. Astigueta stressed the importance of pursuing the just punishment given the particular situation, and warned against the temptation to immediately impose the maximum punishment – dismissal from the clerical state – on all cases. The only thing that actually makes the crimes diminish, he said, are preventative measures and “the consciousness of the people, the intervention of the people,” specifically through education.